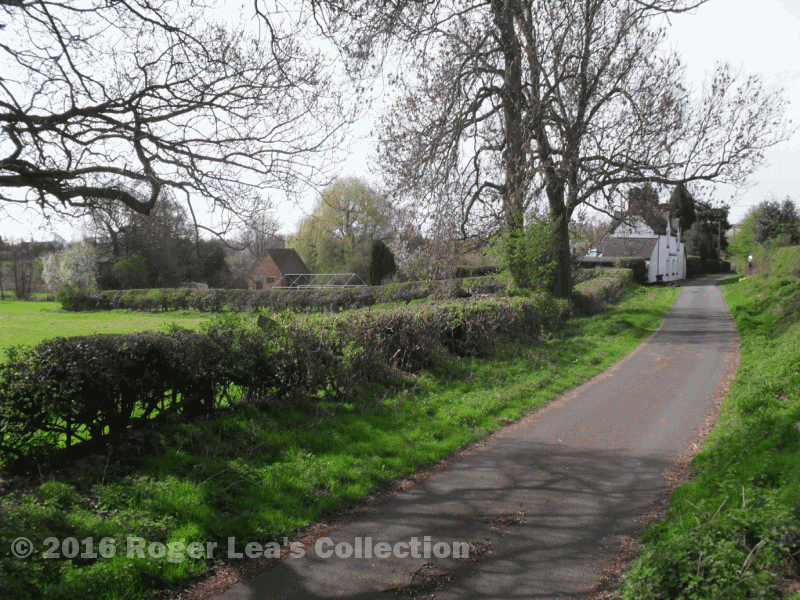 Having followed the boundary of Sutton to the ninth milestone on the turnpike road from Coleshill to Lichfield (near the junction of Camp Road and London Road), Mr. Harris turned southwards down the centre of the road past Canwell Gate House on his left. Mr. Harris was the Commissioner for the Enclosure of the Commons of Sutton Coldfield, making his perambulation of the bounds in October 1824. To the left of the road lay Canwell in the parish of Drayton Bassett, Staffordhire, while to the right there was farmland in Sutton. The farmer, Walter Earp, lived in a nearby cottage (now Wellsmead), and the boundary turned off the turnpike road to follow the edge of his garden “to the turf pits”. There is no trace of the turf pits now, they were ponds left by the digging out of peat, used as a fuel by cottagers up until 1800. The pits were at the bottom end of a paddock belonging to cottages in Turf Pits Lane, and were the source of a brook which formed the boundary as far as Slade Road. In his account, Mr. Harris referred to Slade Road as “leading from Roughley to Farnell’s at the Lamb in the turnpike road”. In 1824 traffic on the turnpike road was increasing, and passengers were well provided with inns at Canwell Gate, The Lamb, and Bassett’s Pole. From Slade road the boundary still today follows Collett’s Brook for several miles. On the Sutton side there was a patchwork of tiny fields and a number of mean cottages - squatters had settled here over the centuries and managed to establish themselves - as far as Tamworth Road. Tamworth Road was a turnpike road, but Mr. Harris does not mention the toll house at Collets Brook although it must have been there in 1824 (he made no mention of the toll gate at Watford Gap either), perhaps because its status was doubtful - it dates from 1792 when Sutton Corporation put Tamworth Road under trustees and charged tolls, fifteen years before an Act of Parliament established a proper turnpike trust for Tamworth Road. The toll house is a listed building which the owner has promised to put back into good repair. The brook passed across the road in a ford; Middleton Parish was now to the east, with the open common land of Chubbs Field and High Heath in Sutton to the west, quiet and lonely when Mr. Harris rode by in 1824, but now overshadowed by the M6 Toll road on one side and the A38 Sutton by-pass on the other. Turfpits Lane, still in Sutton though cut off by the M6 Toll - the turf pits were in the meadow on the left, just in Staffordshire.